Have Kia Cerritos trained and certified technicians work on fixing your vehicle to get you back on the road. When you first arrive at Kia Cerritos, we’ll work closely with you to determine exactly what you need from us. You might already have in mind the exact Kia model you want, so we can show you your different trim and color options within our new Kia inventory. Otherwise, we’ll gladly walk you through your certified pre-owned Kia choices, as well as used cars from different automakers. Whatever you select, you can expect a great deal and competitive financing offers, with monthly payments that fit within your budget. Feel free to return to us as needed in the future, whether you need to buy another KIA or have your current model serviced. Our technicians can handle any and all repair requests you bring our way! We even use authentic Kia parts to ensure quality and longevity. 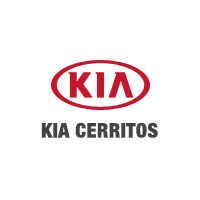 Kia Cerritos is conveniently located at 18201 Studebaker Road in Cerritos, CA. Come see why customers looking for a new or used car, or requiring automotive service, choose our dealership. We also provide our customers with giant deals, giant inventory, and giant customer service, and we’re prepared to set you up with the perfect Kia for you and your budget! Give us a call if we can help you out beforehand.